Political responsibility and legal liability, like fish rot, start at the head. President Barack Obama’s and President Vladimir Putin’s heads, to be exact. 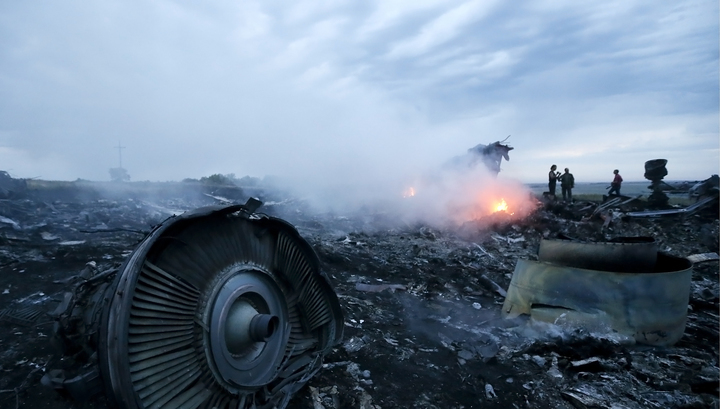 For evidence of the destruction of Malaysian Airlines Flight MH17, and of the 298 people on board, what the two presidents knew from the start — before the start, in fact – was revealed in a telephone conversation the two of them held three hours after the crash. Today, fourteen months later, it is now certain what they didn’t know, and didn’t discuss, because it didn’t happen. One of those things was an explosion of a Buk ground-to-air missile on the port (left) side of the aircraft. Why that didn’t happen has now been revealed in the only direct physical evidence admissible so far in international courts of law. This is the post-mortem evidence of the 296 individuals, and 700 body parts recovered from the aircraft. 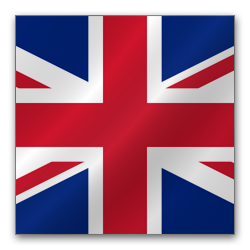 The coroners of the UK and Australia say they will not test this evidence for the foreseeable future; by a loophole in the coronial law they may refuse to consider it at all. In Germany and The Netherlands, lawyers say there is no independent coronial court for investigation of cause of death . German state police and the Dutch-led Joint Investigation Team (JIT) are not independent of their governments; nor of the Ukrainian Government’s right as a JIT member to veto what is investigated, what is disclosed, who to convict. The only courts in which it will be possible to consider this evidence are the European Court of Human Rights (ECHR) in Strasbourg, and the International Criminal Court in The Hague. The first is now the venue of a case brought by the daughter of Wilhelm Theodore Grootscholten, 55, a Dutch victim of the MH17 crash. The second is to decide who is responsible for the death of Fatima Dyczynski, 25, also Dutch. The defendants charged with culpability in the loss of their lives are the Government of Ukraine; Dutch officials at the time of the crash, Minister of Security and Justice Ivo Opstelten and Fred Teeven, the State Secretary for Security and Justice; the International Civil Aviation Organization; and the European Organisation for the Safety of Air Navigation (Euro Control). 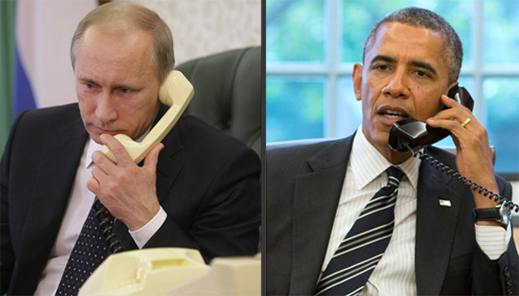 On July 17, 2014, according to the Kremlin transcript, Putin and Obama had spoken by telephone by 20:30 Moscow time. Taking into account the one hour difference in summer time that year between Moscow and Kiev, the Kremlin clock shows that three hours and ten minutes had elapsed since the crash. Putin had initiated the call, both sides agree. But what previous agreement was this? A general one concerning hotline communication in early-warning or emergency situations? Or a specific one relating to the fighting in eastern Ukraine? If the latter, then had the two presidents already discussed and agreed there was a danger of collateral damage? Putin’s spokesman Dmitry Peskov was asked to explain whether the time stamp on the Kremlin release was the time the telephone call started; when it finished; or, some time later, when the release was issued. Peskov was also asked to explain the reference to “a previous agreement”. He responded that the time was for the release; the telephone call had taken place earlier. The agreement, he added, was one formulated by foreign ministry channels to fix the agenda and issues for discussion ahead of the call. 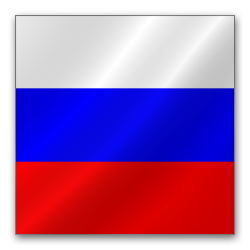 Fyodor Yakovlev is a veteran officer of Soviet foreign intelligence. He has published two detailed analyses of the evidence that has accumulated to date – the first on September 12; the second on September 15. They are the most comprehensive and authoritative presentations available in Russian since Russian generals Andrei Kartapolov (Army) and Igor Makushev(Air Force) briefed the media on July 21, 2014. For details of that, click. On this point there is widespread agreement among non-government, non-Russian experts, though not unanimity. Yakovlev and others have reported that evidence of the aircraft pieces itself, of the civilian and military air traffic control traces, and of satellite and ground photo records are incomplete and unverified. Just 40% to 50% of the aircraft pieces have been collected by investigators in The Netherlands. The black box data are inconclusive.The only air traffic control data, civilian or military, to have been released come from the Russian General Staff briefing; the counterpart Ukrainian records have not been released at all. A 24-point inventory of the evidence required was issued a year ago, in a letter to the Dutch Safety Board (DSB), by the Russian Federal Air Transport Agency (RosAviation); the Dutch investigators won’t say how they have responded. Rosaviatsia does not believe the DSB report scheduled for release on October 13 will fulfil the 24 points. The White House reports of what Putin and Obama had discussed started with a statement from the White House press office conceding “we do not yet have all the facts”. It also pointed the first finger of blame: “this incident occurred in the context of a crisis in Ukraine that is fueled by Russian support for the separatists, including through arms, materiel, and training.” The White House has timed this release at 10:38 Eastern Time. That’s 18:38 Moscow time. By then, also according to separate White House releases, Obama had telephoned Ukrainian President Petro Poroshenko and the Malaysian Prime Minister Najib Razak (right). These calls have been reported by the US media as having been made by Obama while he was in jet flight to Delaware state, to eat lunch and announce a local port investment plan. Delaware press reports say Obama arrived in the state at about 17 minutes past noon. Allowing for the time it took for the president to get to his aircraft in Washington, and for the half-hour flight to landing in Delaware, it appears that Obama spoke to the Ukrainian and Malaysian officials between two and three hours after the crash; at least one hour after the telephone conversation with Putin. A group of European investigators led by Max van der Werff, has developed a large corpus of evidence to expose fabrication of evidence of the supposed Buk launch point, trajectory, plume, transporter truck and its route, witness sightings, photographs, telephone tapes and internet logs of what they told each other . Arguing in defence of the Ukrainian claims is Eliot Higgins, an Englishman who publishes as Bellingcat and also on a London website called Byline, motto, “nothing between you and the news”. Gabriele Gordon, a veteran German prosecutor, has reviewed the evidence made public to date by the Dutch Safety Board and the Joint Investigation Team regarding the Buk missile theory. On August 11, the two Dutch agencies issued the statement that they are investigating – note present tense — “several parts, possibly originating from a Buk surface-air-missile system. These parts have been secured [note past tense] during a previous recovery-mission in Eastern-Ukraine [sic] and are in possession of the criminal investigation team MH17 and the Dutch Safety Board.” From a forensic perspective, Gordon interprets this to mean that the DSB’s final report on crash, released for government review two months earlier, cannot have referred to the Buk, and cannot have been final. “When DSB and JIT said on August 11 that the evaluation of a possible missile fragment is still going on, how can the DSB report draft from June 2 provide any evidence?” In short, the attempt is being made to find the evidence on the ground that has eluded detection in the bodies or in the aircraft pieces. The evidence on the ground continues to appear, its provenance and authenticity as unproven and inadmissible as the half-airplane assembly in a Hilversum hangar. According to a release by the Donetsk General Prosecutor yesterday, 2,500 pieces of aircraft and passenger debris, freshly gathered from the crash scene, have just been despatched to The Netherlands. Two reports by Australian coronial investigators, David Ranson, a pathologist from the Victorian Institute of Forensic Medicine (VIFM) and Iain West, deputy coroner for the state of Victoria, have revealed the cause of death of the victims, ruling out shrapnel from an exploding Buk missile warhead. The first Ranson-West report, released in November 2014, can be read here. A second report, eight pages in length and written by Ranson, followed a month later. This was sent to the Victorian State Coroner, Judge Ian Gray. He then circulated it to families of the Australian victims, and also to MH17 victims in countries abroad. In interview Ranson says that for burial in the UK, “you need a determination of cause of death”. In Australia, by contrast, “you don’t need a cause of death for burial or cremation.” What was on the death certificates issued in The Netherlands, Ranson was asked, for the repatriation of the non-Dutch victims? “I can’t recall,” Ranson said. Dutch officials refuse to say. The Australian coronial evidence is direct; having been prepared for the Coroners Court of Victoria, it has been tested for legal admissibility. There is also a great deal of it. It is supported by Dutch prosecutor and head of JIT, Fred Westerbeke who has acknowledged that 25 metal particles, shards, or fragments have been found. For Westerbeke’s statements, click here. Dutch sources, who ask for anonymity, do not believe Westerbeke is deliberately lying. They believe he is making a public record of the verifiable evidence, and also the interpretation which the Ukrainian and US Governments are insisting upon. The Dutch sources credit Westerbeke with exposing the contradiction. Other Dutch investigators believe the reason the current Dutch Minister of Security and Justice, Ard van der Steur (right) dismissed pathologist George Maat after he gave a lecture on the identification of the MH17 victims, was that the government wanted to warn the Dutch against revealing what the Australians had already reported – that there was no evidence of more than 7,800 pieces of shrapnel in a Buk warhead. Details of that case, and Maat’s pursuit of van der Steur for a retraction, can be read here. The record by Maat’s Australian team members at Hilversum is that no Buk detonation could have taken place without filling the bodies of passengers on the left (port), forward side of the cabin, but the evidence of the bodies shows this didn’t happen. Direct testimony from the sister of the pilot of MH17, Captain Wan Amran (Hamrin), corroborates that whatever detonated to destroy the aircraft, it released little shrapnel, and none struck her brother. The pilot was seated on the left side of the cockpit. Verified site photographs of pieces of the cockpit’s outer panels, compiled in this montage by BellingCat, show the damage to the fuselage. Wan Lailatul Masturah, the pilot’s sister (below left), went to Hilversum to identify the body of her brother (right). Representing his wife, she escorted his coffin home for burial near Kuala Lumpur. The co-pilot, Capt Eugene Choo, appears to have been cremated in The Netherlands, before his remains were repatriated. The public evidence of Arie de Bruijn, one of the lead Dutch investigators on the JIT, has been that of the 298 victims in all, the bodies of 176 were recovered “more or less complete”. Here is the Dutch Government publication. Another 527 body parts were “filed”. As of August 8, 2014, twenty-three bodies had been identified. Following press reporting of the repatriations and funerals of those individual names most swiftly identified, it is possible to correlate them with the seating plan published from Malaysian Airlines by the Wall Street Journal. To date, the consensus identification of the external blast source is a point to the left of the aircraft, forward of the left wing. This suggests that, in addition to the pilot seated on the left side of the cockpit, the passengers in seats A, B and C in rows 1 through 17 should have been the most injured, and so slowest to identify. Individuals in the corresponding seats on the right (starboard) side of the aircraft should have been least impacted, and to have remained most intact and quickest to identify and repatriate. A review of British, Australian, Malaysian, and Canadian press reports suggests that the first repatriations and funerals were of individuals seated on the right side. Those repatriated early, who had been seated on the left side, were at the rear of the aircraft, behind the blast zone. As evidence goes, this is no more than inferential and circumstantial, based on incomplete data. However, the report to the victims’ families, written by Ranson in December last, provides the only official and explicit source of evidence for cause of death. Ranson and Coroner Gray were asked to provide a copy of the report. They refused. Ranson was asked to say if the report had carried an official classification as secret when it was released to the victims’ families. He replies: “The report is for the coroner so is subject to the court processes and as I understand has not been released yet by the court.” Asked when the classification was introduced, since it had not been in effect in December, when it was reported to have been sent to victims’ families, Ranson now claims: “I don’t believe it has been sent to families.” Just how recently the report was classified, he won’t say. Carolyn Ford, the local reporter who interviewed Ranson in December and who reports being given a copy of his report, says it was not classified or otherwise restricted when she read it, and when she reported in the Law Institute Journal (LIJ) of the Law Institute of Victoria, a professional association of lawyers in the Australian state. Her article, titled “Grim Homecoming tests new morgue”, is closed to non-members of the institute. She has made available this copy. Ford remembers Ranson telling her that copies of his report had been sent to families of the victims. Claim papers for the two litigations which have commenced in Europe do not mention the Australian evidence on the bodies. Elmar Giemulla (right) from Berlin is the lawyer acting for the family of Grootscholten – he was in seat 11D. Giemulla has so far sidestepped the coronial evidence and the explosion impacting MH17. Giemulla’s submission to the ECHR can be read here. This opens by saying: “The observed damage to the hull and the cockpit indicates impacts of a large number of objects that hit the aircraft from the outside. The aircraft broke apart due to these impacts in the air. Note: The account of the facts is essentially based on the findings of the English version of the preliminary investigation report of the competent Air Traffic Investigations Department (Dutch Safety Board: Preliminary report / Crash Involving Malaysia Airlines Boeing 777-200 Flight MH17)”. Additional evidence, including witnesses, is being sought, the claim states. However, the legal foundation and focus of Giemulla’s case is that Grootscholten’s death was “caused due to negligence by the Ukrainian government. Contrary to its legal obligations, [the government] did not close the airspace including the flight level. The Ukrainian government acted deliberately… due to its negligence people have died.” Compensation of €1 million is sought. of the deaths of the passengers and crew. The Dyczynski case focuses, like Giemulla’s at the ECHR, on government culpability for allowing MH17 to enter the war zone airspace, when officials – Ukrainian, Dutch, and international aviation regulators – already knew of the risks to the aircraft’s safety. According to reporter Bensmann’s summary, there had been a conference in Kiev on July 14, three days before the crash, when Ukrainian Foreign Minister Pavlo Klimkin and officials from President Poroshenko’s office had explicitly issued a warning that the airspace above the warzone was dangerous for aircraft. A month before, a Ukrainian military troop transport, an Ilyushin-76, had been shot down as it was landing at Lugansk; the same day of the conference another Ukrainian transport, an Antonov-26, had been struck at an altitude of 6,200 metres. The evidence on which the Dyczynski lawyers are making their case is that the Dutch officials in charge at the ministry of security and justice had received the warning by an official internal communication, but had been culpably negligent in failing to act on it, and order airlines departing from Amsterdam not to enter the affected airspace. The Dutch officials named in the court papers, Opstelten (below, left) and Teeven (right), left their offices in March. They are asking the court to reject jurisdiction and dismiss the Dyczynski claim. UkSATSE stands for Ukrainian State Air Traffic Services Enterprise, a unit of the Ministry of Infrastructure in Kiev. NOTAM stands for Notice for Airmen, the standard warning issued by aviation authorities alerting aircraft pilots to potential hazards along flight routes.